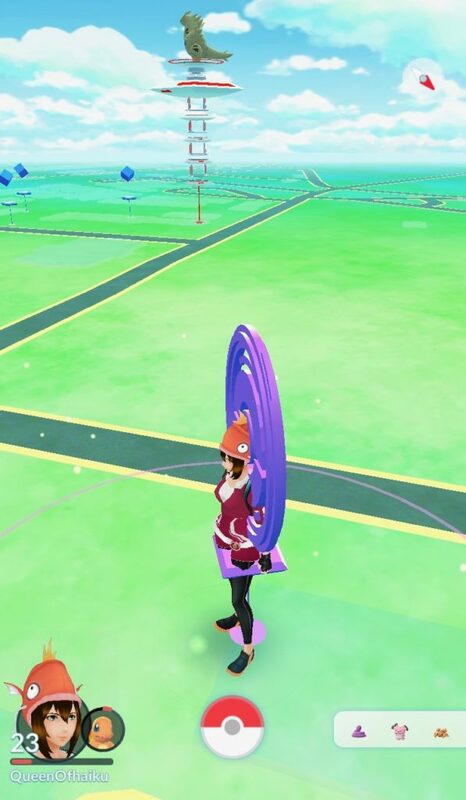 The 2018 Valentine’s Day celebration in Pokémon GO was minimalistic. 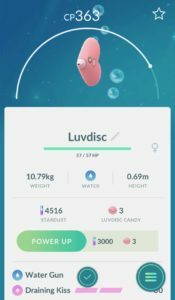 It featured a newly introduced Pokémon called Luvdisc. This one is pink and shaped like a heart, so it made sense to include it in a Valentine’s Day event. 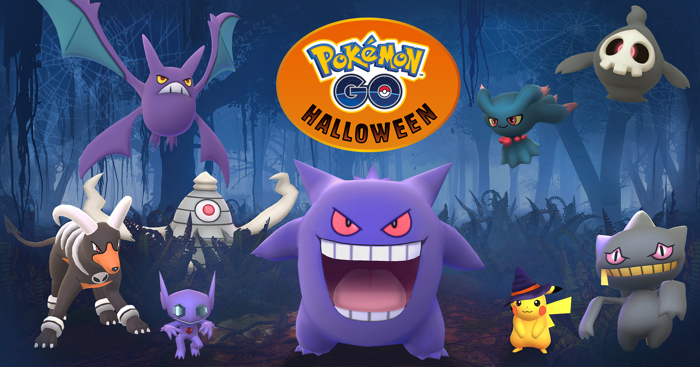 Pokémon GO held a Halloween event that began on October 20, 2017, and ended on November 2, 2017. I tend to enjoy Halloween events in video games, and this one was fun. Like last year’s Halloween event, there were some Pokémon available that had not been in the game before. This year’s also includes some that had previously been introduced to the game, and that were more prevalent now for Halloween. Pokémon GO announced Adventure Week – a celebration that started on May 18, 2017, and will end on May 25, 2017. The big thing about this event is that players will see more Rock Pokémon than usual. The announcement specifically named Omanyte, Kabuto, (and their evolutions) and Aerodactyl. Players could obtain a free Expedition Hat from the wardrobe while Adventure Week was taking place. 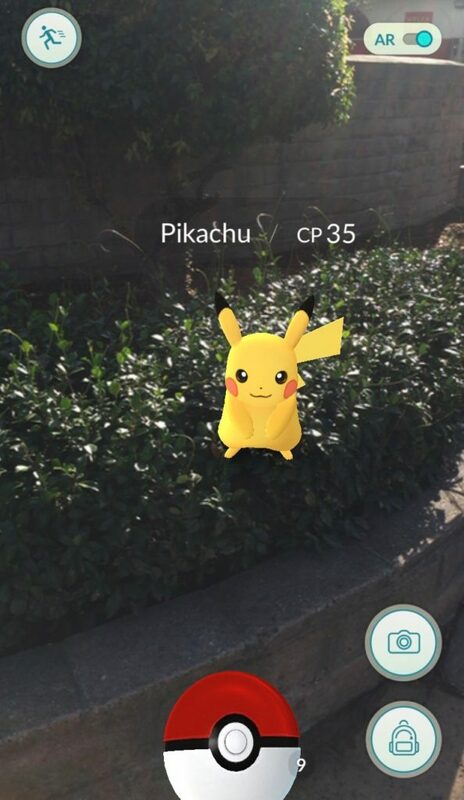 In addition, Buddy Pokémon will find Candy four times as fast, and PokéStops will provide more items. Niantic held a very short Pokémon GO event that was called Worldwide Bloom. It started on the afternoon of May 5, 2017, and ended on May 8, 2017. This is the first Pokémon GO event that I have seen that did not connect to a real world holiday. There wasn’t a whole lot of “extras” connected to the Worldwide Bloom event. The main thing was that players would see more Grass-type Pokémon around than they typically would. The event did not involve extra Experience Points (XP) or extra Candy, or anything else. It was simple and fun. The tagline of all of the Pokémon games is: “Gotta catch ’em all!” I’m working on that – even though I doubt I’ll have the opportunity to catch the Pokémon that are not available in the United States. It is unlikely that I’ll be able to afford to travel. I have merged with the Starbucks PokéStop. 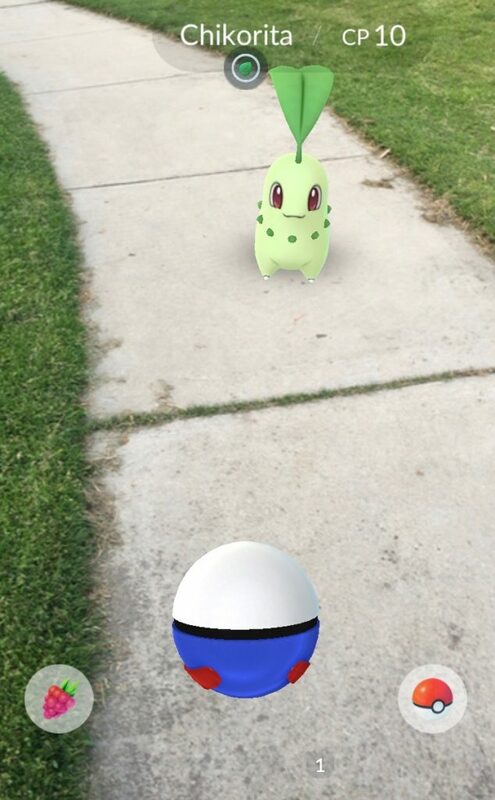 I can stand perfectly still and collect PokéBalls …and coffee. The first time I saw one of these adorable plant Pokémon was on a day when the pollen count was 9.7 and I’d been outside and walking through parks for longer than I should have. I’ve decided it is a sign that this year’s Spring Pollen Season is almost over. This little guy doesn’t produce flowers – so he probably can’t make pollen. 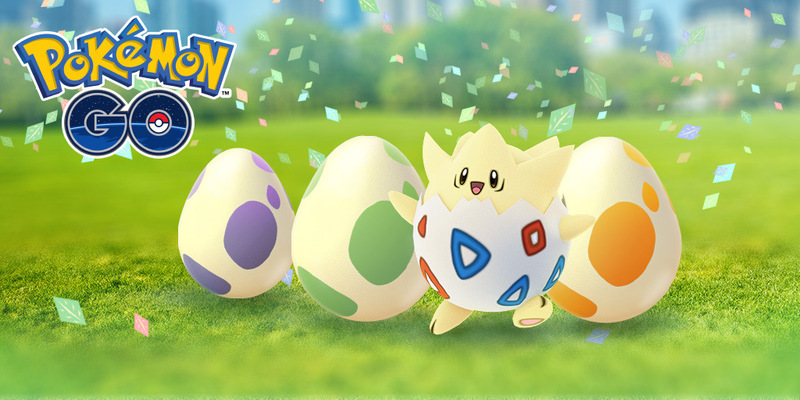 The Pokémon GO Eggstravaganza started on April 13, 2017, and ended on April 20, 2017. It was pretty clear that this was their Easter holiday celebration (despite Niantic not mentioning Easter in the announcement about the event). The event took place around Easter and involved Eggs and Candy. Players who participated in the Eggstravanza would level up faster than usual thanks to the double XP (experience points) that the game offered while the event was happening. Niantic suggested that players use a Lucky Egg to boost that XP – and get four times the regular XP while they played. Niantic added new things for your player character to wear. Some cost money, and some are free. 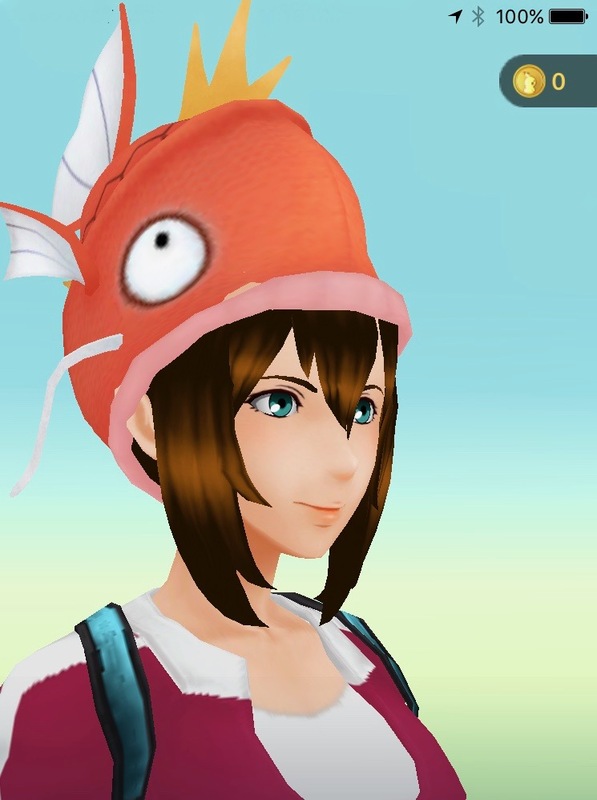 The Magikarp hat is free. It is for me. I can relate. Magikarp can’t do much but flop around. I’m just as limited during Spring Pollen Season. 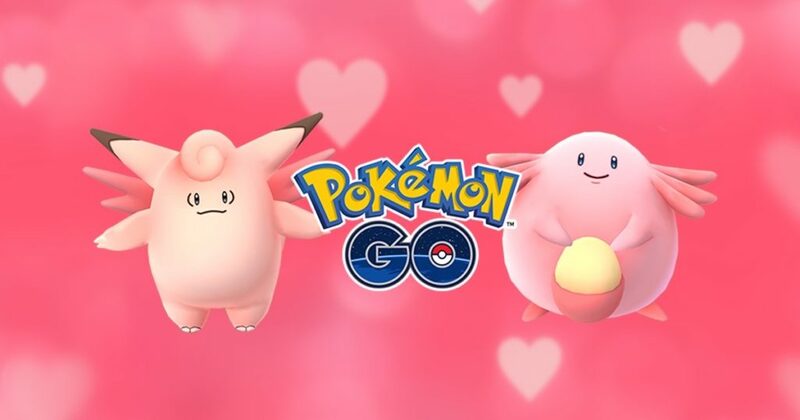 Pokémon GO held a Valentine’s Day event that began on February 8, 2017, and ended on February 15, 2017. It gave players double the amount of Candy that they earned every time they caught, hatched, or transferred Pokémon. In addition, Buddy Pokémon would find Candy twice as fast. Pink Pokémon were plentiful during this Valentine’s Day event. They were more frequently encountered in the wild than usual, and more likely to hatch from eggs. I didn’t manage to hatch any eggs during the event, but I was able to catch some pink Pokémon.